I'm a KISS fan. Been a KISS fan since I was 5 years old. I have owned or heard every note of commercially available KISS music ever made. So it is only natural that Krude would give his two cents about the rankings of each and every KISS studio album. KISS fans are the most opinionated and passionate fans on the planet. Some of them will like what I have to say. Some won't. But this is The Krude Experience and I'm Kapn Krude. And you get pure Krudeness with every word I type. So now let's put your two lips together and KISS! 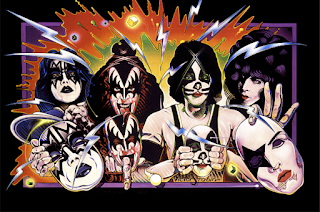 Disclaimer: I will rank each KISS studio album with a K to KKKKK ranking. 5 K's being stellar masterpiece. One K being use cd as drink coaster only. 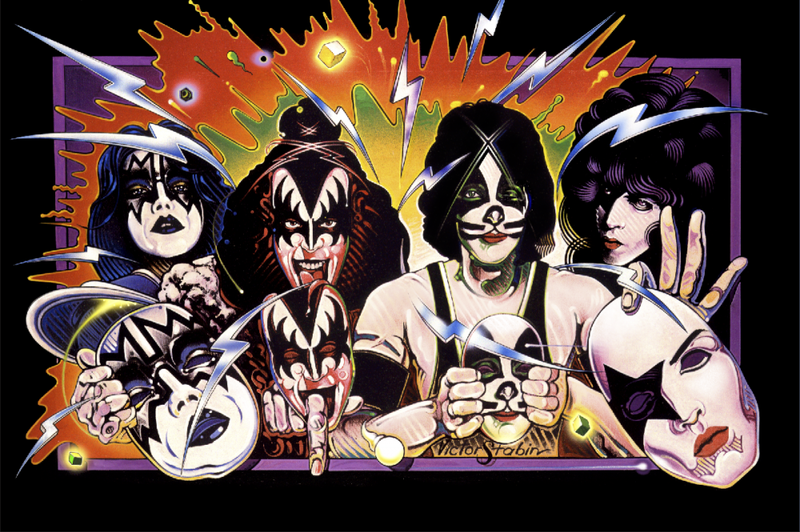 KISS- An All Time American Classic Band. Krude approved.